Highlights: This was an absolutely fun race with great swag! The weather ended up being a little warmer that I thought, but I dressed in layers, so that was no problem. The after race chocolate party rocked!! I was super excited about my first 15k and I convinced my brother to do the 5k, so we went together to pick up our packets in Scottsdale. It was easy to find the race expo and everything was well organized. I’m really glad that they had sample jackets to try on, so that we can verify the size. The jackets were awesome, but they ran a little snug so I’m glad that I picked a large. 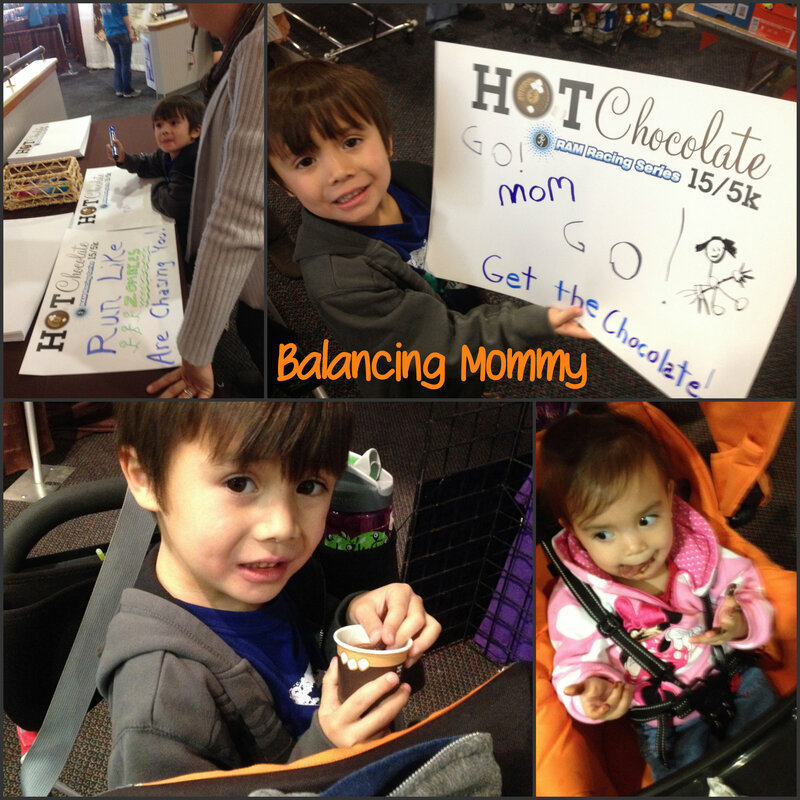 The kiddos loved the chocolate samples and I was happy to do a little shopping with Sole Sports before the race. The perfect expo for my chocoholics! 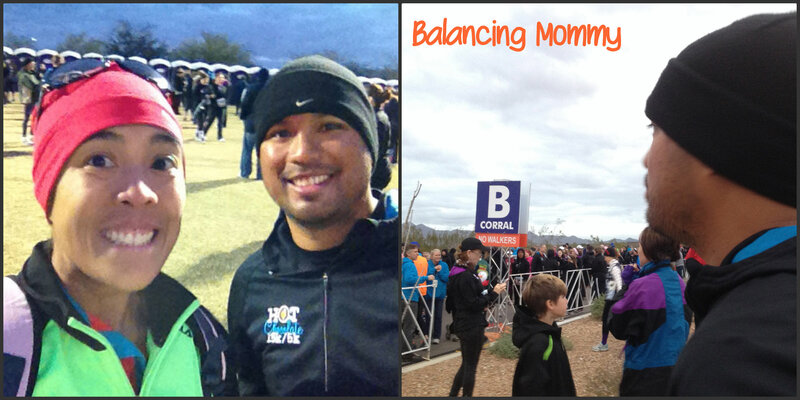 It was chilly when we arrived at Salt River Fields for the race. We arrived early and had plenty of time to hit the potties and bag check. There were at ton of potties — bonus! Can you spot the Brother? Since the 5k started before the 15k, I was able to cheer for my brother as he was started! I took pictures with the Hot Chocolate mascot and then met up with a friend. After the long wait between the races, we were off! The 15k was a good course. Since we waited awhile, I had to take off layers after the first 2 miles. I kept a pretty steady pace the first 3 miles, and slowed down just a tiny bit in the middle section. There were a couple of out and back segments, which was fun to see my friend ahead of me on the run. I’ve decided that I liked the 15k distance, it’s not as exhausting as a half marathon and more challenging than a 5k or 10k. It was a perfect distance to keep my mileage up after the half marathon in November. M & M’s running the course behind me! 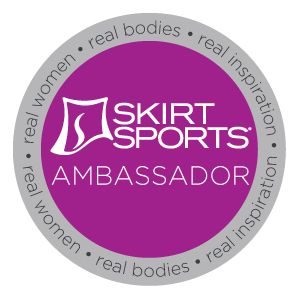 I was able to kick it up a notch and cross the finish line strong! 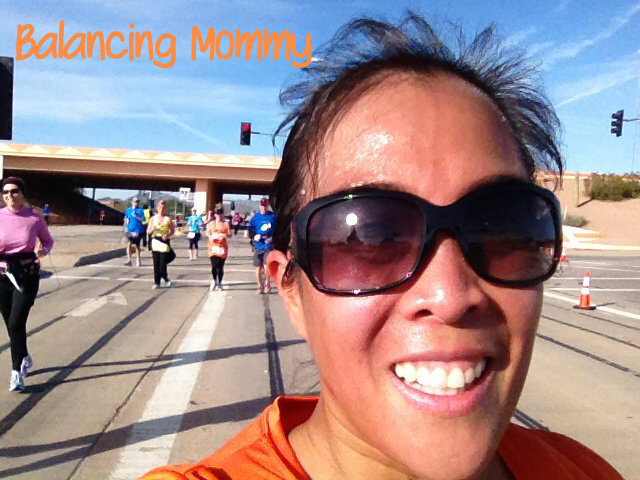 And since it was my first 15k — it’s a PR!! Whoo-hoo! There was chocolate goodness waiting for us at the celebration tent. My brother waited for me, so we enjoyed the chocolate until the kiddos arrived. At that point, they hijacked my “medal” and enjoyed the fondue with all the dippers. I wished that the 15 started before the 5k. 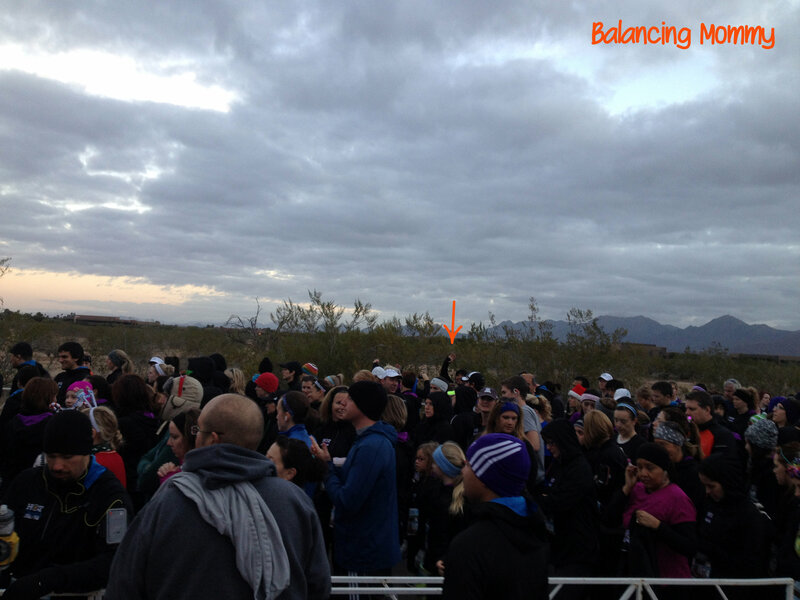 Once the 5k runners finished their race, they must have bolted pretty quickly. By the time I finished, there weren’t very many people at the after party. There was a fun kids area and DJ with music, so the atmosphere was there. I think because it was cold at the start and warmer than expected after the race, people left in a hurry. Brother and I took pictures at the end and I even got a picture with other runners for the #RunChatHunt. Overall, it was a great race and I can’t wait until next year’s run!! 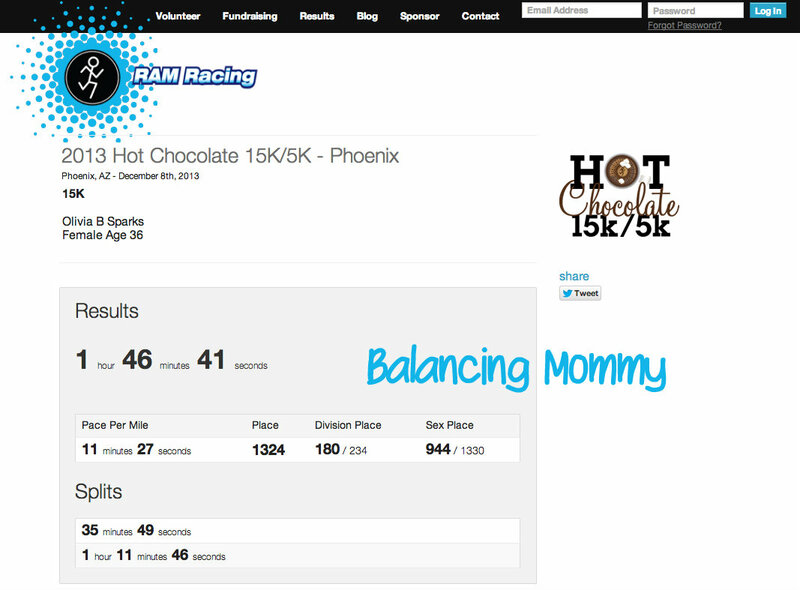 Posted in RacesTagged 15k, PR, race, recap, RunChatHuntBookmark the permalink.